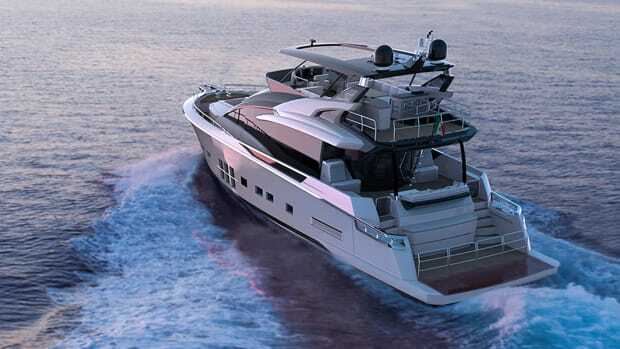 Construction has begun on the first Sherpa XL by Arcadia Yachts. Here's what we know. 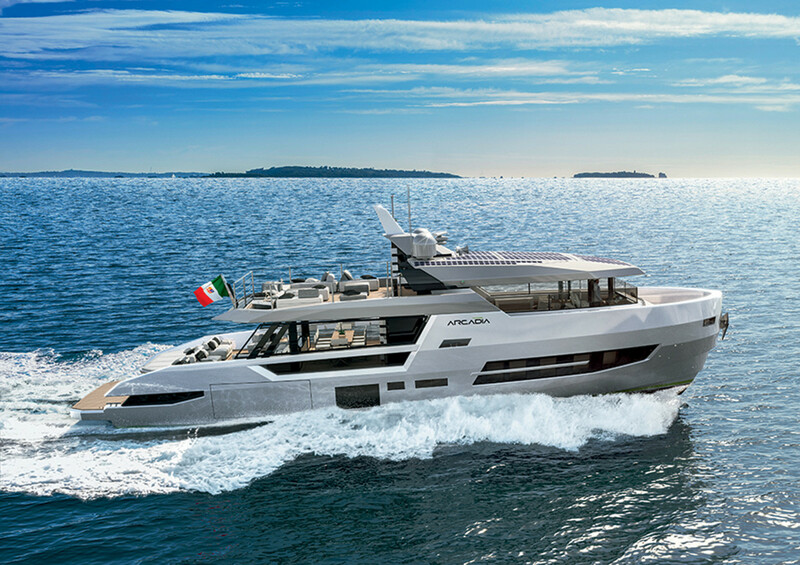 Italian shipyard Arcadia Yachts appears to be furthering its "pocket megayacht" concept with the Sherpa XL, an extension of its striking Sherpa line, which is being built on spec. 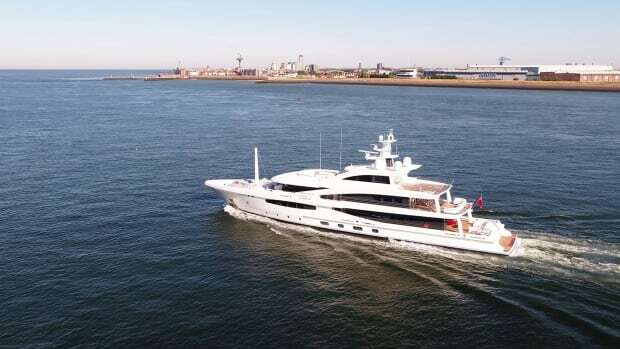 Engineering is nearing completion on the 78-footer, which is expected to debut in Cannes in 2019. 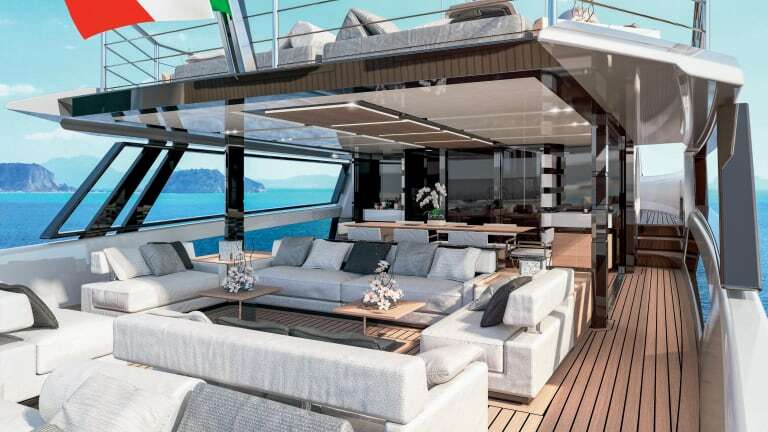 With a beam of nearly 23 feet, wider than many yachts in the 90-foot range, The Sherpa XP will offer more than 2,300 square feet of interior and exterior living space—25 percent more than most yachts in its class. 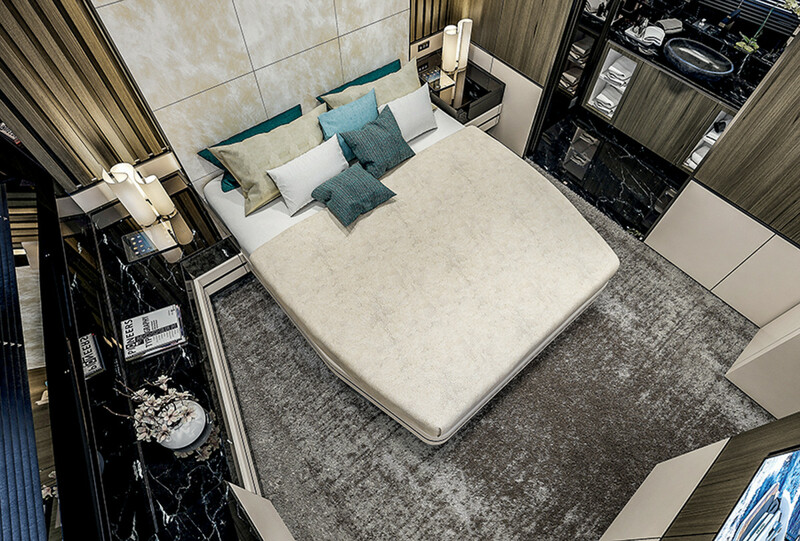 “Sherpa XL retains all of Arcadia’s fundamental brand values: comfort, performance, easy handling, eco-friendly technology and personalization options in terms of layout and décor,” says Ugo Pellegrino, the director of Arcadia Yachts. 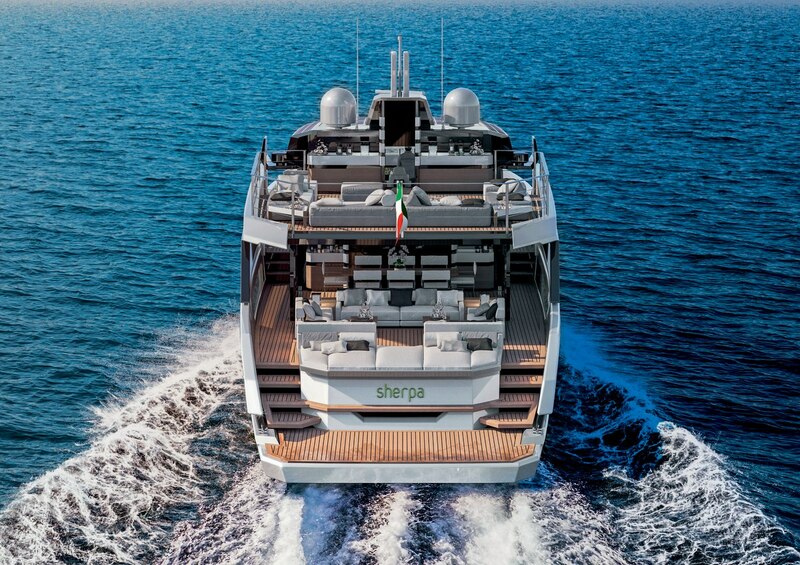 The Sherpa XL was penned by Milan-based Hot Lab design studio. 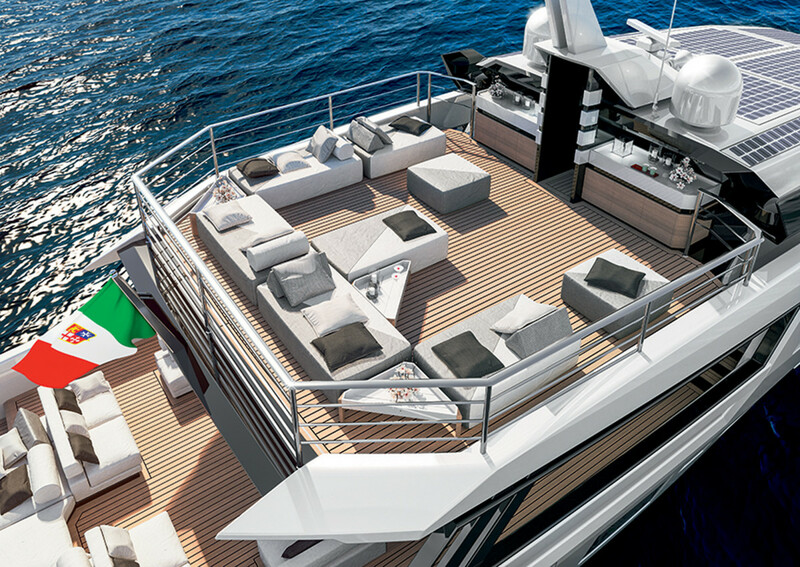 “The concept of the Sherpa XL develops around the special layout of the decks,” explained Michele Dragoni, exterior chief designer of Hot Lab. "The bow decks are split to develop a central flight of stairs with small differences in height. This particular jigsaw layout, in addition to providing considerable space in what is actually not a great height, has allowed us to play with volumes and create an immediately recognizable profile." 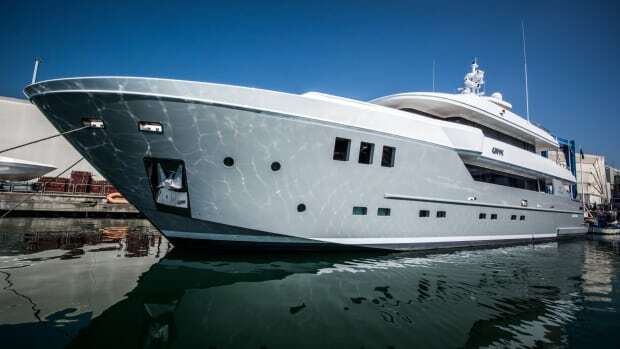 The large external areas, a distinguishing feature of the Arcadia fleet, are said to be expanded more than ever before. The aft cockpit is directly connected to the control panel by a short scenic sequence of steps, which interlock between the narrow topsides and the low volume that supports the sundeck. A large living area is forward with elegant sofas and a dining table that can accommodate up to 10. The narrow bulwarks surrounding the entire cockpit have openings that allow guests to enjoy the view and the closeness of the sea. The tender is stored just forward of the engine room and is launched through a side hatch, without bothering the guests. 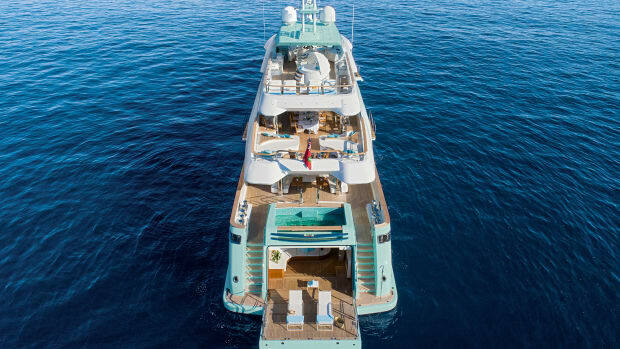 On the upper deck, a lounge with bar and pantry expands the yacht&apos;s alfresco living options. 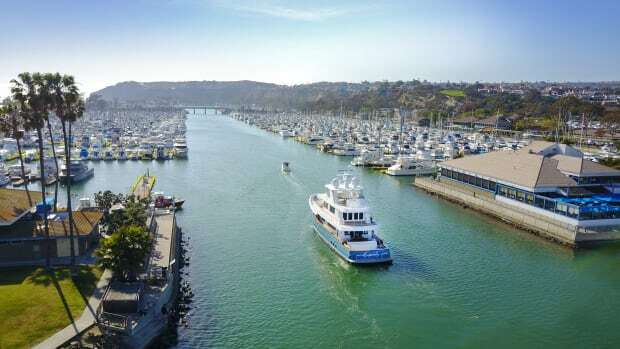 Unlike traditional flybridge arrangements with a helm station, the area caters entirely to entertaining. The interior design is contemporary and functional, with options for select materials and finishes, including the option of Made-in-Italy furniture brands. The Sherpa XL was designed with a three- or four-cabin layout. In the four-cabin model, the galley is positioned in the skylounge on the bridge deck, whereas in the three-cabin version it is in the lower deck. In both cases, great attention has been given to ensuring an efficient yet discreet on board service, by separating crew service areas from the areas reserved for guests. The master suite is nearly 300 square feet and extends into the bathroom with no partitions, which provides the owner with an almost at-home layout: large, open and full of light. 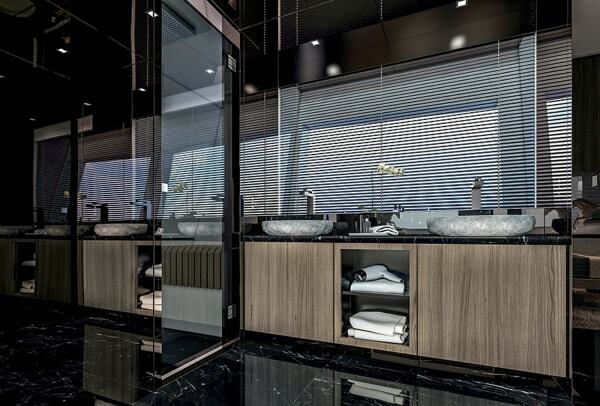 The VIP cabin in the bow follows the same principle of broadening spatial perception. The Sherpa XL was also designed for performance. 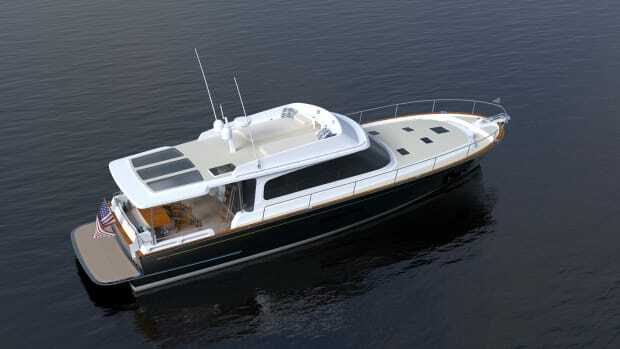 Powered by twin Volvo Penta IPS1050 engines, she&apos;ll reach a top speed of approximately 22 knots. 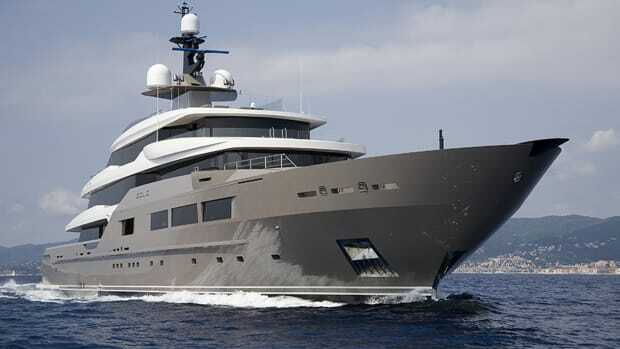 Preliminary testing estimates a long-range speed of 10-12 knots with 30-35% better efficient than other yachts in class. According to the yard, at 12 knots the Sherpa XL&apos;s range will top 1,000 nautical miles, which increases to more than 1,500 nautical miles at 10 knots. To minimize environmental impact with renewable energy sources, the Sherpa XL is equipped with Arcadia’s trademark solar panels, which provide up to 2kW of clean electricity (sufficient to power all the onboard systems except for air conditioning). 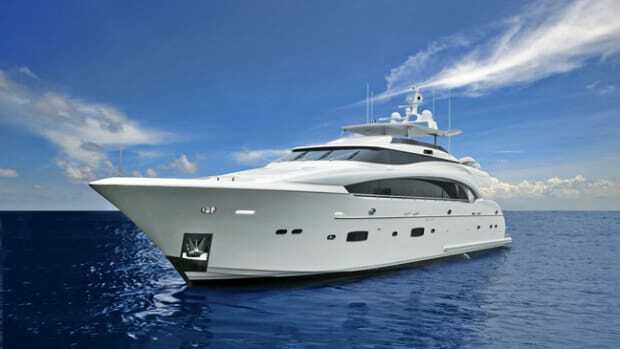 Additionally, the yacht is fitted with low-consumption appliances and LED lights.